. 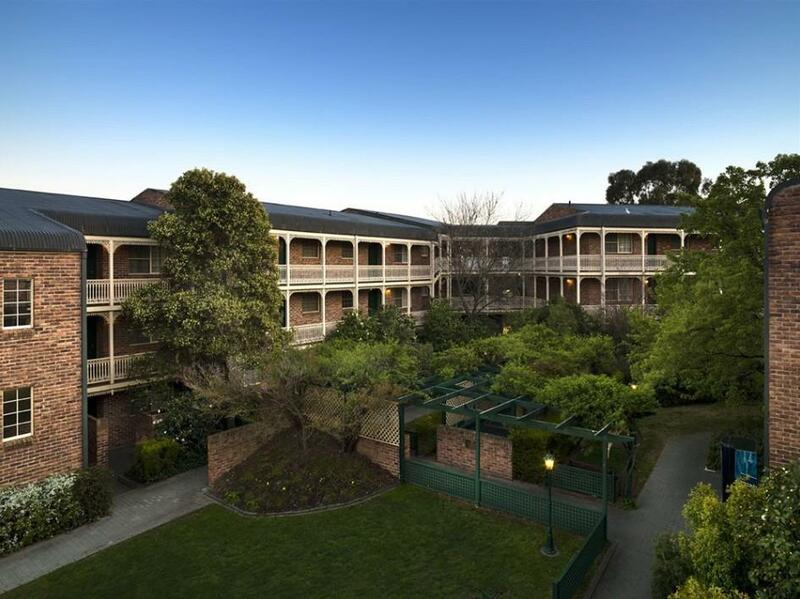 يعرف TFE Hotels بالمستوى الراقي لخدماته ولباقة موظفيه، وهذا ما ستجده في Medina Serviced Apartments Canberra. يمكن لضيوف الفندق الاستمتاع بالميزات التالية على أرض الفندق: واي فاي مجاني في جميع الغرف, تخزين الأمتعة, واي فاي في المناطق العامة, صف السيارات, غرفة عائلية . 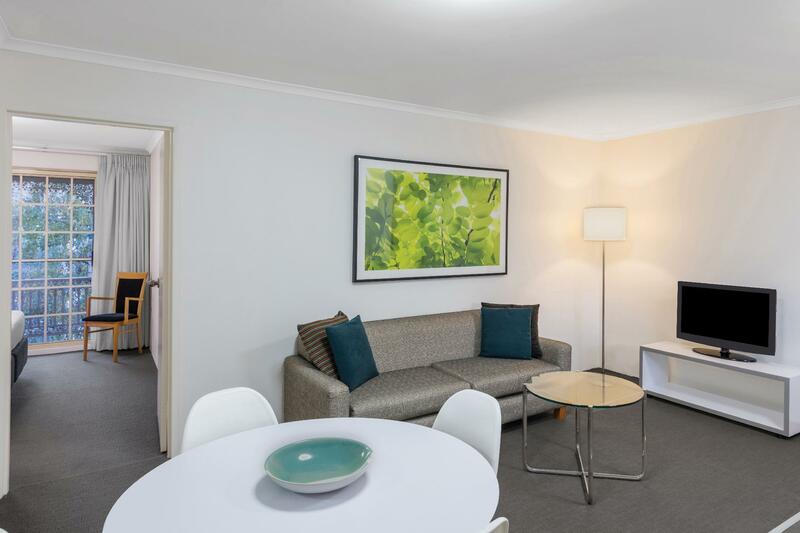 في Medina Serviced Apartments Canberra غرف نوم يزيد عددها عن 50 صممت بذوق وعناية لتوفر لك كل وسائل الراحة . بعضها يحتوي أضاً على تلفزيون بشاشة مسطحة, غرف لغير المدخنين, مكيف هواء, تدفئة, شرفة/ تراس. صممت خدمات الاستجمام في الفندق والتي تتضمن ساونا, حمام سباحة خارجي, حمام سباحة داخلي, سبا, حديقة لمساعدتك على الاسترخاء والراحة. إن Medina Serviced Apartments Canberra هو مكان مثالي للمسافرين الذين يتطلعون إلى الراحة والاستجمام في كانبرا. Great one night stay. Picked the Medina due to it's central location. Room was very comfortable and warm (which you definitely need in Canberra in the winter). The staff at check-in and check-out were very friendly. 2 bedroom apartment that had been renovated recently, good AC, all new furnishings. Apartment was cleaned daily, underground parking included. Indoor pool and spa was ok, great location, pub up the road was great and child friendly in the dining area, 2 min walk from Manuka shopping village with coles and heaps of restaurants. Very quiet, would stay at again, staff were friendly. I've stayed here on numerous ocassions and have enjoyed my stay each time. 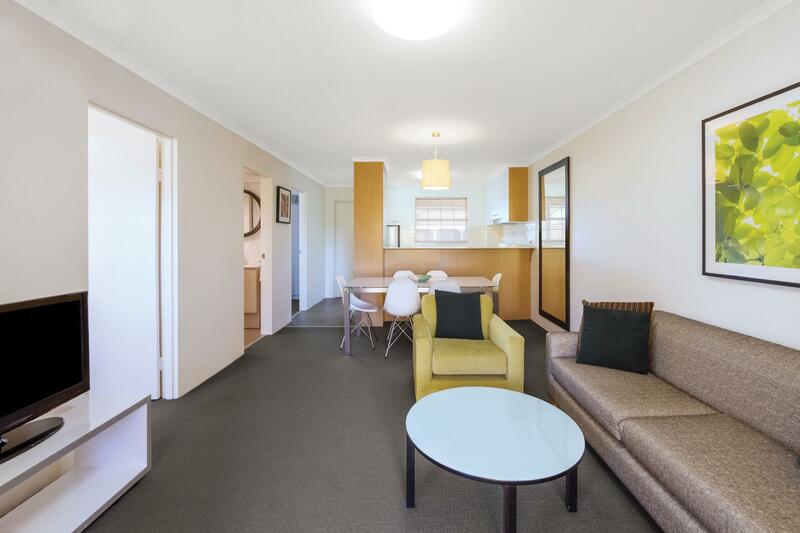 The location is great - there are restaurants at either end of Giles street and within walking distance.There is also a Coles supermarket in walking distance if you need to buy groceries to self cater. The building is in need of renovating and I was pleased to see some kind of renovations underway while we were there. The cleaners need to be a bit more diligent. The beds are ok, but the pillows need replacing as they are utterly flat. Otherwise it's a good place to stay. Staff were friendly helpful and went out of their way to assist. One staff member even prepared some goodies and balloons for our sons birthday while we were staying there, and kindly assisted with internet access. Great service !! Comfortable apartment which is well equipped. Bathroom is large with washer and dryer. Covered car park is a plus point. Staff at reception is very helpful and friendly. Lifts to apartments are rather old though and we needed to carry our luggages through small steps along the walkway before reaching our apartment. Overall stay was pleasant. Location, between Kingston and Manuka both only minutrs away by foot. Great spot! Very pleasant. The staff were friendly and helpful, the room was clean and regularly serviced, and the room had everything I needed with lots of room. Manuka and Kingston offer lots of great dining and shopping and the hotel is well serviced by taxis. I'd highly recommend staying there, with the kitchen you can prepare your own mealsor eat at a number of places just minutes away. The Medina is now my preferred place to stay for business. Had no idea food was available. I was a solo booking tagging along with a choir competing in the national eisteddfod; on our arrival the promised conference room had been double booked so the choir was cramped into the indoor pool area. The staff we encountered was very friendly, though -- the luggage was stored in a back room until check in time. We were warmly accommodated & the location is very strategic. Definitely will come back. Rooms are spacious and can accommodate large groups. Furnishings, appliances are very basic and worn, but adequate. The bathroom is particularly in need of a refresh with mold evident in grout work in the shower/tub. Beds were comfortable. Heater worked well on cold days. Walls are very thin. Stay could be a nightmare if you have noisy neighbours. Bathroom sounds filter through the bedroom walls. You can hear someone going to the bathroom/flushing the toilet in an adjoining apartment. Internet did not work despite numerous calls to front desk and internet help desk. Staff were friendly and nice, although largely unable to help (at least with the internet problem). It was a pleasant stay. The apartment is well located and reasonably priced. The hotel is a bit older but it is kept clean and the bed was comfortable. The staff were helpful and friendly. Nice and close to shops and restaurants. Spacious room size, near restaurant and easy to find. Great spot, close to shops and transport. The rooms are large and clean, staff are friendly and helpful. I always enjoy staying at the Medina. The kitchen let's me cook and relax and the rooms are spacious and clean. Facilities, staff & the scenery. Great location to both Manuka and Kingston dining areas. Clean and modern inside. Beautiful gardens.